There’s no way around it. No matter what you do – listening to the radio, watching television, riding to work or reading your emails – you will run into advertisements. Without fully realizing it, you’re being exposed to up to 10,000 brand messages per day. But, how many of those ads do you actually remember? You might remember a couple of them, but chances are very likely that you’ve forgotten most ads. 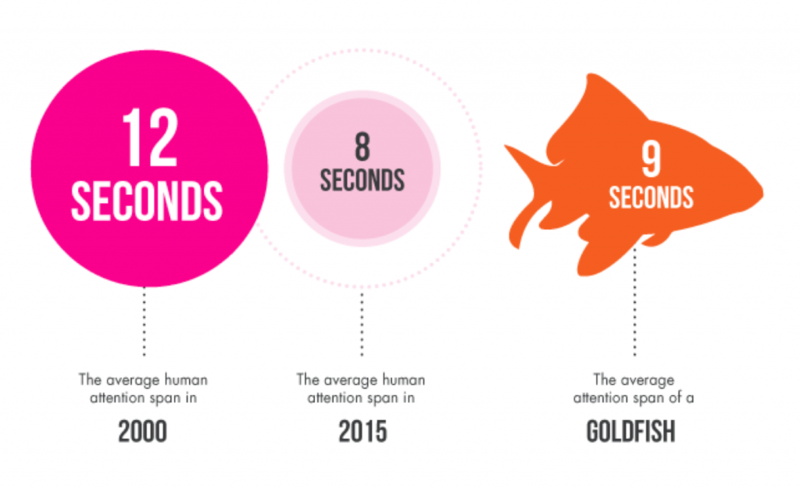 There’s a good reason for that: the average human attention span is only eight seconds. That’s one second less than the attention span of a goldfish! This explains why it’s crucial to engage the homeowner from the very start of the sales process. If you can’t capture the homeowner’s attention within the first 8 seconds of your conversation, your chance at closing the deal will rapidly decline. Here are some key tips on how you can capture your customers’ attention and keep it throughout the sales cycle. With HOVER Connect, you can invite homeowners to take photos of their home before you meet them in person. The homeowners simply need to take a few photos with the HOVER app to receive an interactive 3D model of their actual house. This allows them to discover new products and colors and experiment with the look of their house. In the meantime, you as the contractor will be provided with all the exterior measurements you need to pull together a detailed estimate of the project. By the time you meet the homeowners in person, they will already have multiple ideas on what they would like their remodeling project to look like. What’s more is that although they haven’t met you in person, they already know that you’re a professional contractor who turns to the newest technologies to provide the highest level of customer service. 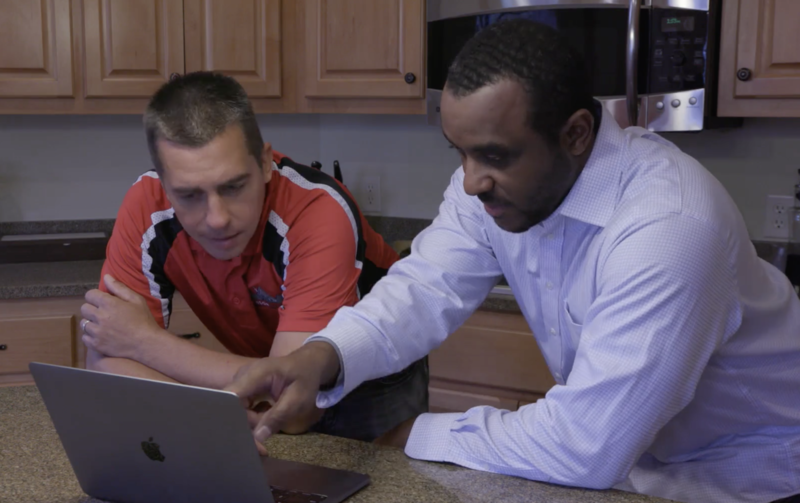 By using HOVER Connect, you can have a leg up on the competition from the first touchpoint with the homeowner. It doesn’t stop there – you can also use the 3D model to help customers arrive at a decision quicker so you can close deals faster. Homeowners might not be familiar with all of the terms that you use on a daily basis. Therefore, it’s important that you avoid construction buzzwords as much as possible in your sales conversation. Of course, you can’t talk about your work without using any construction terminology. In this case, refer to the 3D model. For instance, let’s say you’re talking about repainting the soffit. 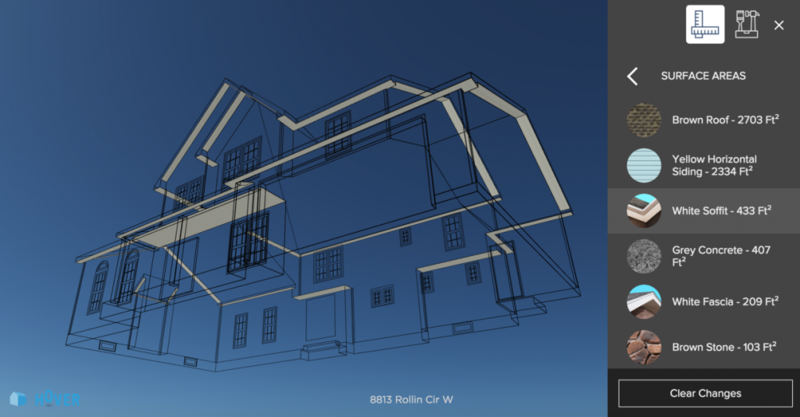 Make sure to show the soffit as a surface area on the 3D model so the homeowners know exactly what part of the house you’re talking about. This lets the homeowners easily pose questions, and prevents miscommunications. Besides making sure that homeowners understand what you’re talking about, it’s also critical that they become familiar with your process. While you’re working on different properties on a daily basis, a renovation is an infrequent experience for most homeowners. 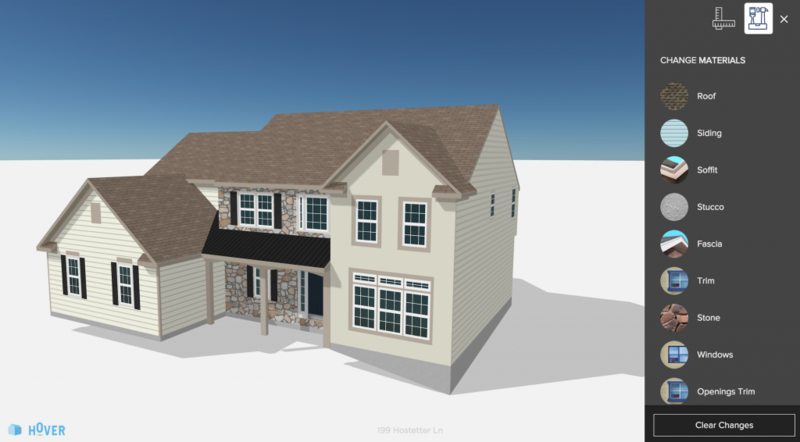 Take the time to explain how your team is going to remodel the house and use the 3D model to demonstrate how the project will happen. By zooming in on certain parts of the home that need some additional attention, you can instill confidence with the homeowner. They can trust that there will be no unpleasant surprises once you kick off the work. Making decisions on the look of their house can be a difficult and emotional process for homeowners, so be sympathetic and provide as much support as needed. 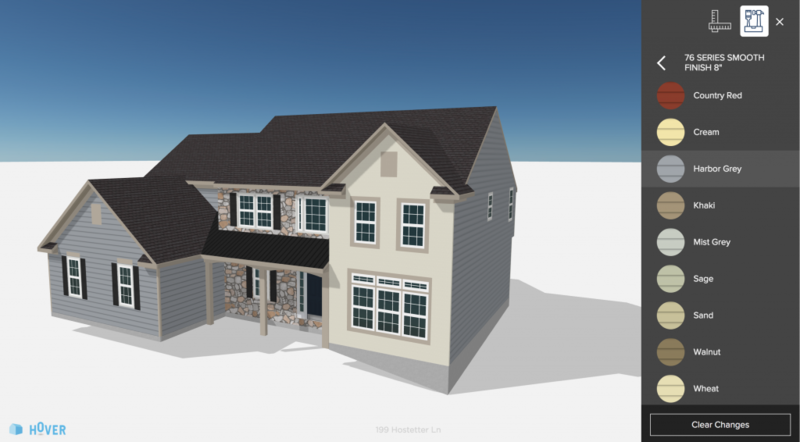 With HOVER’s 3D design capabilities, you can show homeowners exactly what their house can look like before starting any work. 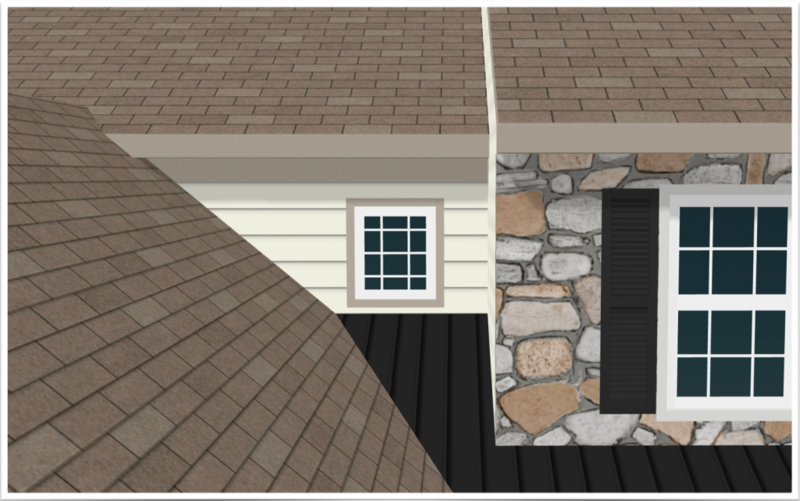 For instance, you can show them what new shingles or a different color of siding will look like on their house. This will help you portray your expertise and allow the homeowner to make decisions with confidence. A recent research study has shown that an engaged homeowner, on average, spends 23% more than an unengaged customer. Moreover, more than 25% of happy customers will refer your company to other people they know. Note that someone who is referred from a trusted person is four times more likely to actually buy from your company. By delivering an interactive sales experience that captivates the homeowner, not only you can close bigger deals faster, you’ll also see an increase in referral customers. There’s more to homeowner engagement than technology. There’s also well-researched, highly focused sales content, such as sales scripts and video tutorials. Email us at support@hover.to to obtain this insightful information which can help boost your customer engagement.